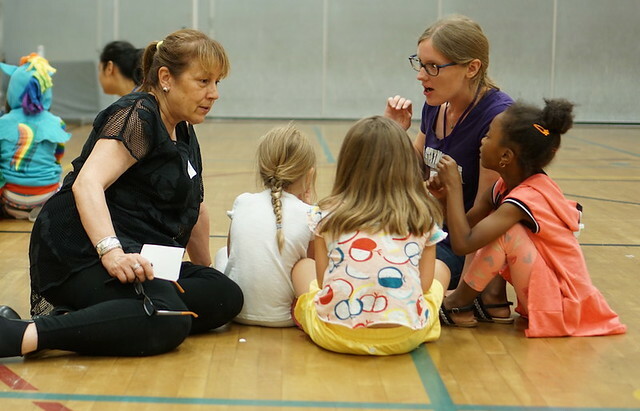 The summer institute was part of EduDesign Lab, a teacher-led professional learning effort launched four years ago by the University of Washington College of Education’s INSPIRE Center. Sarikaya said she plans to begin incorporating project-based learning in her kindergarten classroom, which she co-teaches with two other teachers, this year. By demonstrating how to successfully do so, Sarikaya hopes to encourage other teachers at her school to experiment with their practice. Sunny Graves, a teacher at Seattle's Louisa Boren STEM K-8 School, said this year’s focus appealed to her because project-based learning gives students a voice in their own learning. And that same ability to direct her own learning has Graves eager to work with fellow teachers in the EduDesign Lab network throughout the year. Below, hear participating teachers discuss how project-based learning can reshape learning in the classroom and plans to build their practice with fellow teachers in the coming year. Previous EduDesign Lab summer institutes have focused on incorporating new technologies into teaching practice, elementary science and embedding a social justice lens across the curriculum. Deborah Massachi, INSPIRE manager director, said participating teachers are planning a variety of activities during the year to continue pushing their practice, including reading groups, classroom visits, roundtables and learning labs where teachers collaboratively develop a lesson, try it with students, and then reflect and revise the lesson. "I'm excited about the energized team of dedicated teachers across our community—with varying degrees of experience—all supporting and challenging one another to grow around inquiry, project-based learning and in our work as social justice teachers and teacher-leaders in our schools," Massachi said. "The summer institute was a great way to launch our work and really lay the foundation for the cohort to step in and steer their learning together." Support EduDesign Lab, improve student learning and transform professional learning for teachers and school leaders by making a gift to UW’s INSPIRE Center.